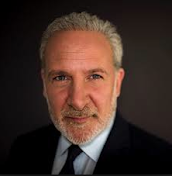 Peter Schiff On The Markets: Europe: QE or No QE? The disappointment was that Draghi was not more forthright with, "Yes, we are doing QE for sure, and here is when it is going to start, and these are the particular sovereign bonds we are going to buy." He was still being evasive, he was still saying, "Well, if the circumstances are right, if we feel it is necessary, then maybe we will do it. There`s no guarantees."